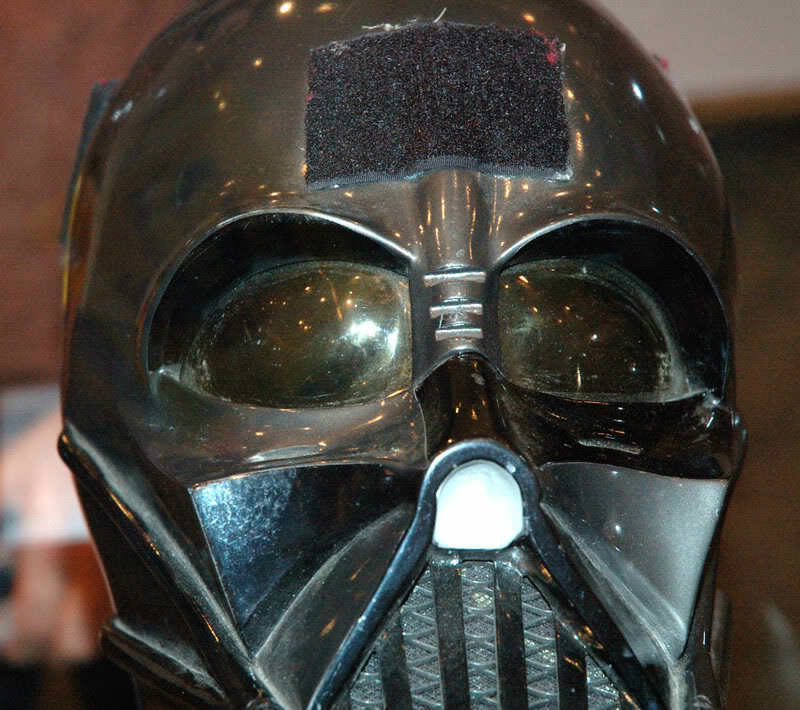 The Prop Den • ROTJ Vader Helmets, as told by D.O. 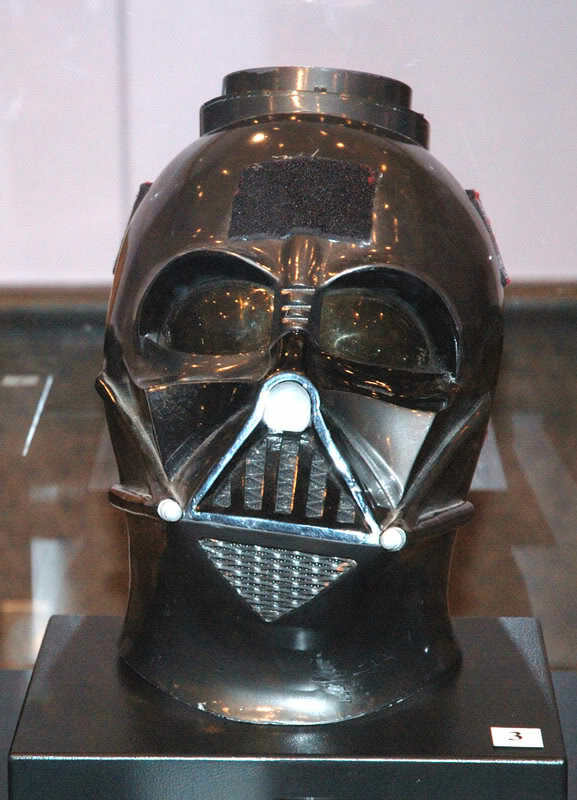 ROTJ Vader Helmets, as told by D.O. 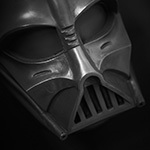 Post subject: Re: ROTJ Vader Helmets, as told by D.O. and has a smaller, tighter mesh grill underneath it. The #2 grill looks just like it. I see nothing but black mesh on helmet #2 in the screen grabs. I know for certain that helmet number 1 has the black mesh. I can even see it in the visual dictionary image plain as day. Its to dark just to be overshadowed especially then the teeth have light right on them. Both the mouth and chin meshes in at least two ROTJ facemasks (and therefore probably all of them) were painted gunmetal grey. These meshes, the larger size at least are copper, we can see where the grey paint has chipped away from the copper in both these masks. (A great shot posted earlier in this thread by Darth Obsession). Yes it's also on the ESB and on the Jedi Propstore helmet. So as it seems the meshes in ESB and Jedi were painted together with the mask and not were installed after painting. Just to point out though mate that the mesh in Propstore's mask isn't black and silver, or ROTJ style if I've understood you correctly? 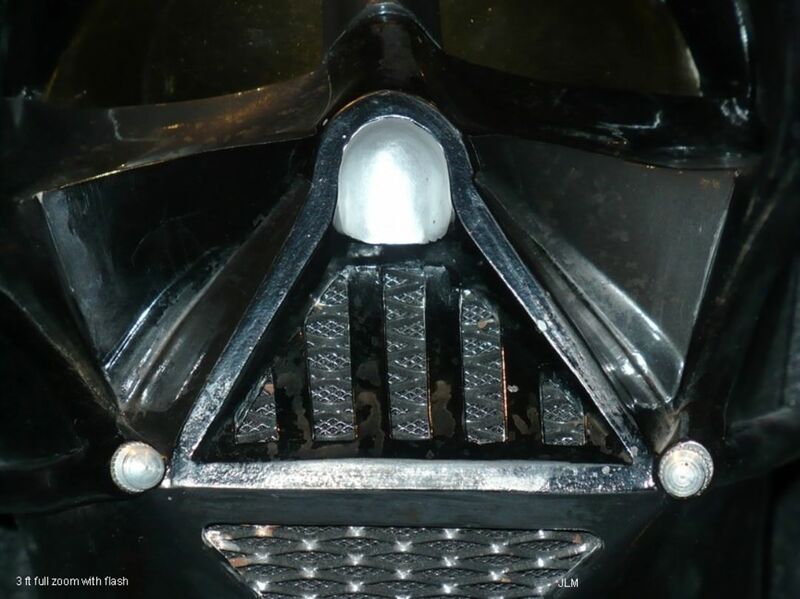 Their mask is production made and features the same flat mild steel mesh that is used in all ESB masks. It's unpainted (and rusty!) in the mouth, and painted gunmetal in the chin. Nice to see this discussion moving. Also never noticed that some of the meshes were out of copper as it seems. So have learned something new. Is that copper or rust from old age? Well the orange colour looks too even and smooth to me to be rust. Some of my steel mesh pieces have rust on them and it's a darker colour with a granular texture to it. We can see this with the rust on the Propstore helmet, and I think also the PA Stunt. There's a possibility it's rust, however as these ROTJ meshes seem to have been painted grey it would have meant rusty pieces of mesh were painted without being cleaned first, and if that were the case we'd probably see the rust texture showing through the paint? If on the other hand the mesh was unpainted steel then rust would have formed in patches all over the mesh and not just in these small spots (which have defined edges unlike rust patches). I could be wrong about the copper but that's what it appears to be to me, but I'm pretty sure that whatever metal was used it was painted gunmetal in the mouth and chin and has chipped in places over the years.